THE REASON: After 60 years in business, which was started by the owner's parents, its time for them to step down and focus on other endeavors. The business has evolved over the years more into a Bar rather then a restaurant. Now they serve a few simple item on a bar menu. THE BUSINESS: What makes this such an interesting venture is you have approximately 3,600 sq ft building with a Very LOW rent of $1,500 per month. This makes the place quite profitable with sales of $20,000 +/- per month giving this business a rent factor of just over 7%. 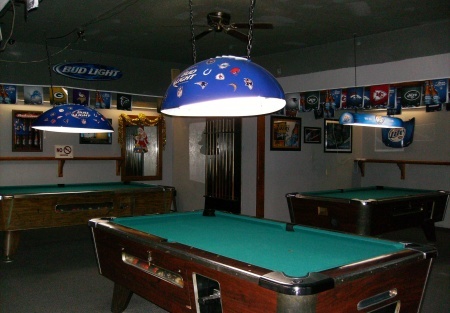 There are 3 Pool Tables, 5 Dart Boards and a Juke Box helping keep the place hopping. There is plenty of parking in the area. GROW IT: This restaurant and bar is surrounded by businesses, making it perfect for the operator who knows how to capitalize on a strong lunch crowd potential. PROFITABLE BUSINESS: This businsess has certainly built some goodwill with annual sales in the $240,000 range and a low rent factor and a high percentage of liquor sales. If you know this business, then you certainly know that with those sale, high liquor to food sales percentage and the low rent factor, the annual profits should be in the $60,000+ range. Of course, the buyer needs to verify the information given to broker by seller before deciding to buy this business. This location is in the city's redevelopment project area that is being reviewed. If in fact the project gets approved, this will certainly be a boom for this business bring lots of people to the area. New housing units are part of the plans as well increasing the number of residence in the area. A new Metro train station is also part of the plans being considered. Of course, the buyer must do their own research on this project before buying the business as the broker is relying on information the seller provided. HOLE-IN-THE-WALL: Now this is not a place for everyone, but if you enjoy the bar business and have some ideas as to expanding and growing a long time established business and bringing New Life to this business then you will want to check this place out. To get all the details, pictures and address go to SellingRestaurants dot com. 3 Pool Tables, 5 Dart Boards FUN!! !